Come meet Kamala Harris, the leading Democratic candidate to replace Barbara Boxer in the US Senate, at our September 10 meeting plus fundraiser in a private home in Fairbanks Ranch. 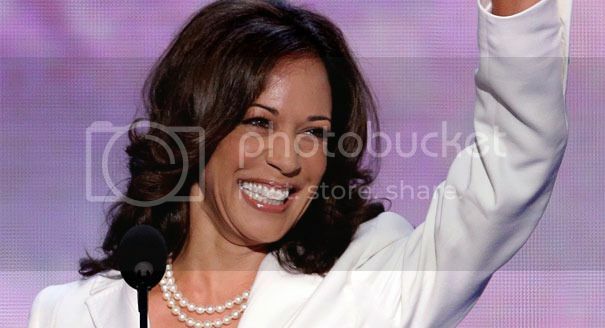 Kamala Harris was born in Oakland in 1964. She graduated from Howard University and earned her law degree at University of California, Hastings College of the Law in 1989. She was District Attorney of San Francisco from 2004 to 2011. She was elected Attorney General of California in 2010 and re-elected in 2014. Her mother was from India, her father from Jamaica. She is the first female, the first Asian American, and the first black person to serve as California’s Attorney General. Kamala Harris is the author of the 2009 book, Smart on Crime: A Career Prosecutor’s Plan to Make Us Safer. She is a vocal proponent of gun control. She is opposed to the death penalty. She has been mentioned as a possible nominee to the U.S. Supreme Court should a seat become vacant during Barack Obama’s second term. Don’t miss this chance to hear California’s next US Senator. l Photo with AG Harris. l Recognition during the remarks. l Includes all the above with the exception of the photo.